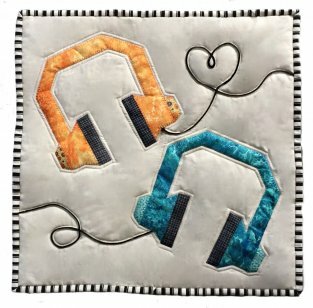 Find and explore beautiful quilt shops as you travel the world! We're excited to announce that it's our 5th year of participating in Row by Row.This now world-wide event has many participating shops coast to coast throughout the United States and Canada. 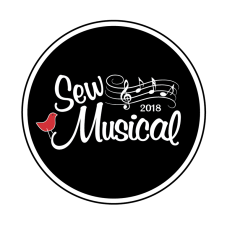 This year's theme is Sew Musical. Grab a group of friends for a summer road trip to collect rows from participating shops & earn some free prizes along the way! For more information, check out Row by Row Experience or the Delaware/New Jersey Facebook page. 18" x 18" squares. Here are pictures of our official "Feel the Beat" row. 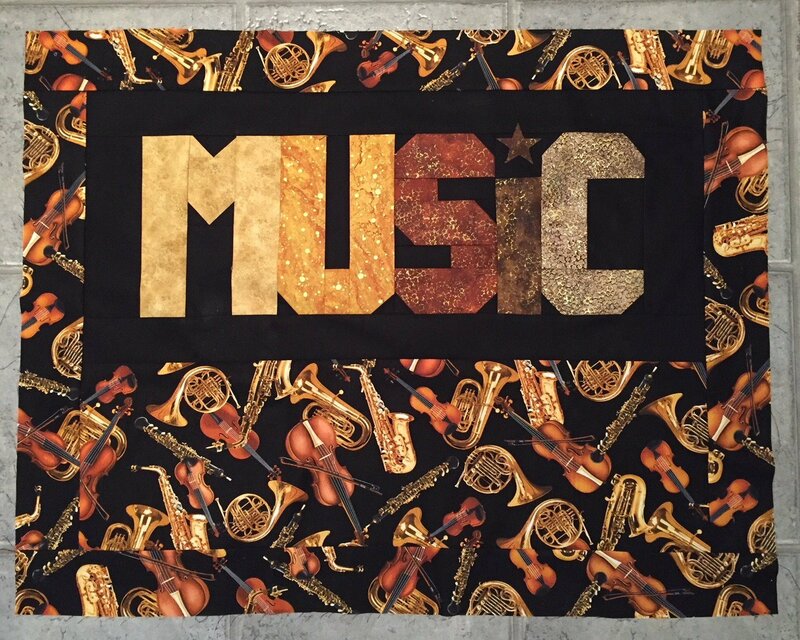 The mixture of colorful and vibrant fabrics contrasting with a simple background is our way of portraying the energy within music. This pattern comes together very quickly. Two colorways are available for the kit: purple/blue and orange/turquoise. Choose the one that mesh's with your quilt vision or pick up both to build on a larger scale! 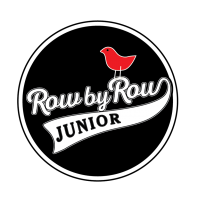 This is the second year that Row by Row Experience has decided to expand its event by offering Row by Row Junior for children ages 6-14. 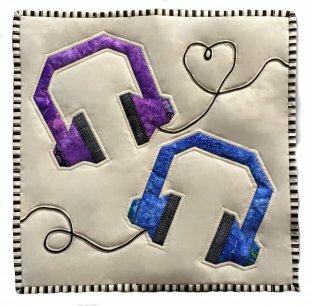 Only certain quilt shops are participating in this, and yes, we are one of them!This is a great opportunity to take the little ones with you to explore different quilt shops and collect free patterns! There are several RxR Junior patterns. Each shop chooses 1 (or more!) 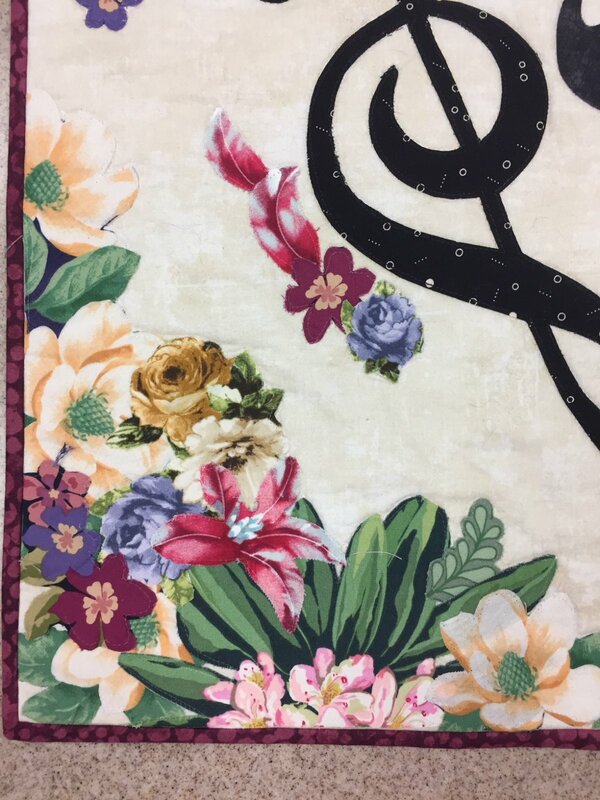 of these patterns to create kits. 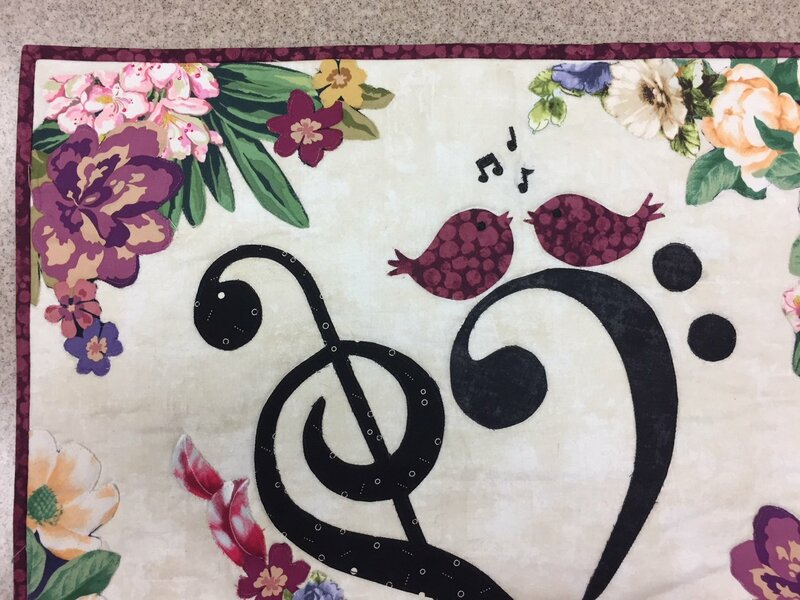 We chose the guitar and music text as our free pattern options. These patterns are great for children of all skills sets. 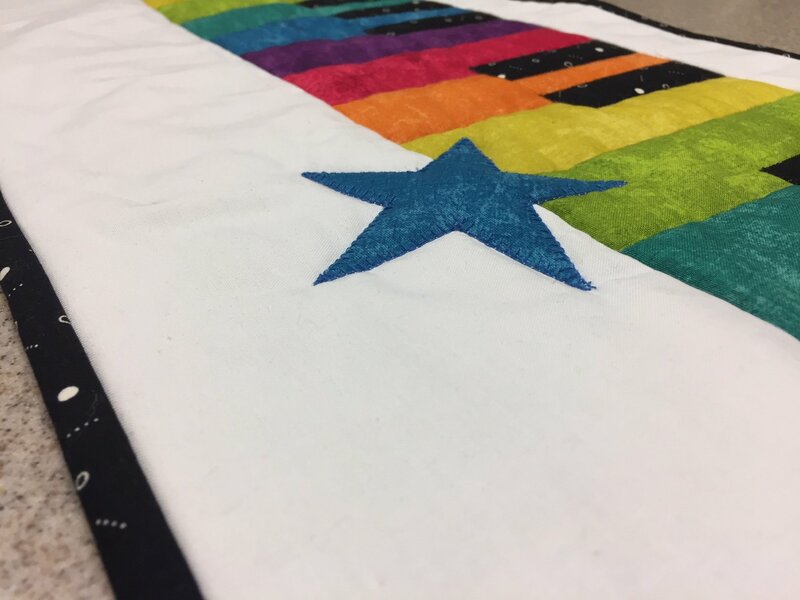 Whether they already know how to sew, or just want to learn, the instructions are simplified and kid-friendly.Row by Row Junior starts on June 21, the same as Row by Row Experience. Junior is different, however, in that patterns may be collected until October 31, 2018. Same rules apply - 1 pattern per child. A child must be present in order to receive a free Junior pattern, but kits can be purchased by anyone.More information for Row by Row Junior can be found here. 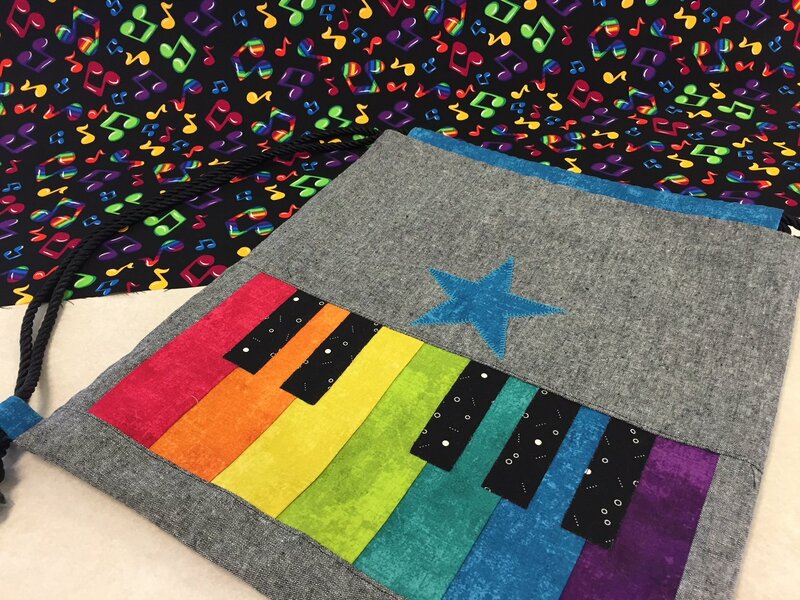 Kits also available for the pillow sham and piano key bag. 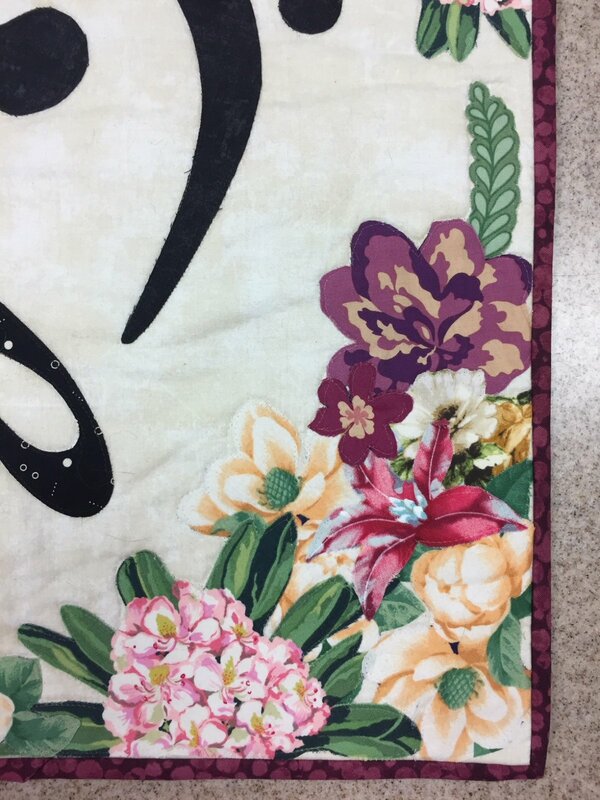 We used a "Big Music" row (above) to create a pillow sham (below). 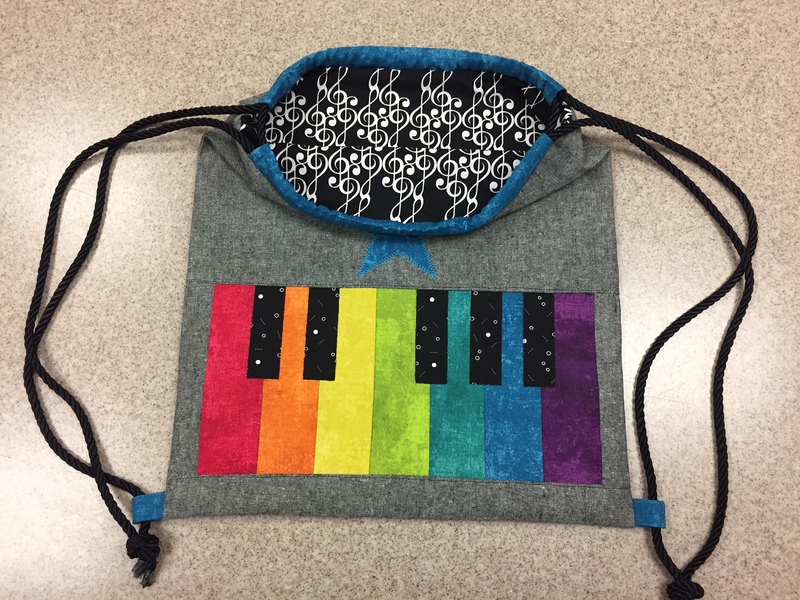 With just a few different steps, the piano key pattern can be turned into a great bag. 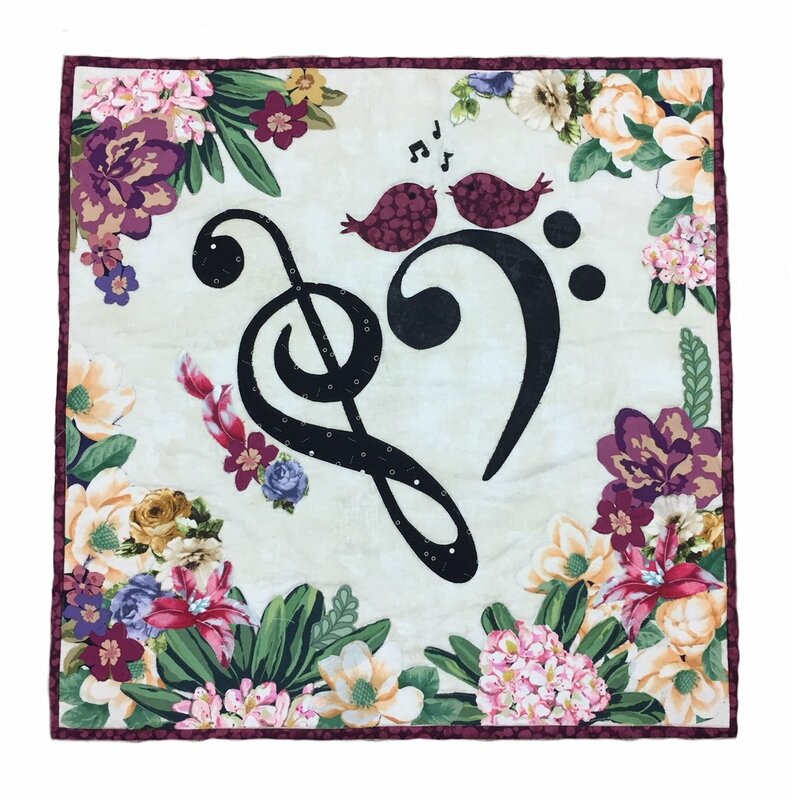 Kits available in store.We used black and white treble clef fabric as lining to continue our sew musical theme.